Apple has done it again with another stupid greedy move. October 2018 will be the end of affiliate commissions for iOS music app reviewers and bloggers. 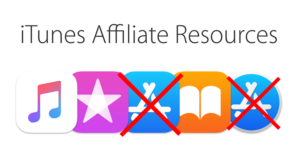 Apps purchased from App Store through blogger / vlogger links will no longer pay affiliate commission. The affiliate commission was a nice little incentive for promoting music apps over the years. I was building up a nice little business here to hopefully give to my daughter when she gets older but I knew it would be too good to be true. Sadly this will probably hurt small developers because they might get less attention and publicity making it even more difficult to discover new apps. I will still do it for the love and to help promote developers and their apps regardless. Anyway please support my channel if you enjoy the content by visiting my Spotify. Also it helps if you watch my videos all the way through. 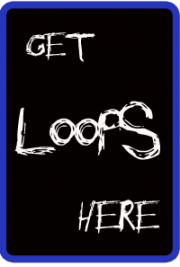 I have a Patreon now and of course I have over 58,000 different loops and samples for sale on my site http://www.soundtrackloops.com Don’t worry though I’m sticking around! Look for more reviews and tutorials very soon!! Official message from Apple: Thank you for participating in the affiliate program for apps. With the launch of the new App Store on both iOS and macOS and their increased methods of app discovery, we will be removing apps from the affiliate program. Starting on October 1st, 2018, commissions for iOS and Mac apps and in-app content will be removed from the program. All other content types (music, movies, books, and TV) remain in the affiliate program. For more information on commission rates, please see our Commissions and Payments page on the Affiliate Resources site. If you have questions, please visit our Helpdesk.